One of my favorite Summer desserts is a fruit tart. 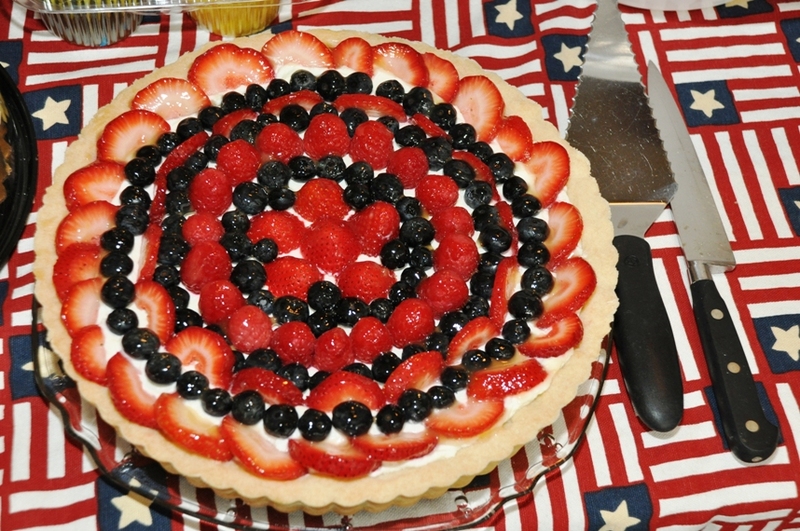 It's also the perfect dessert for the Fourth of July, because you can use blue and red berries to be extra festive. It's sweet, but not overly sweet, which I love. 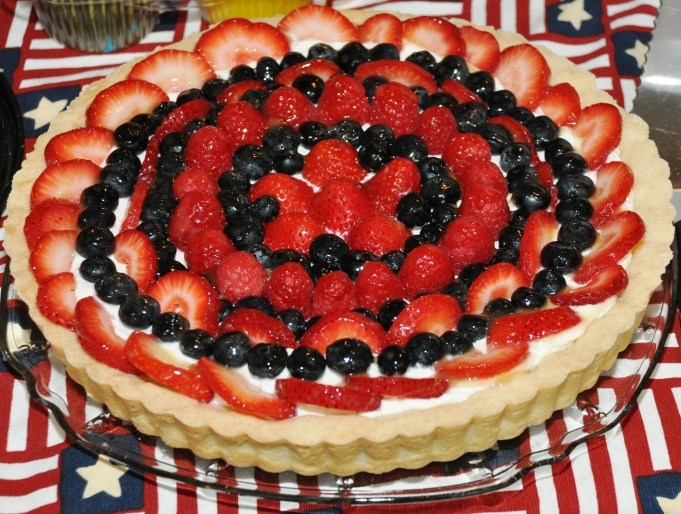 I made this tart for the Fourth last year, but would love to have one of these right now! Preheat the oven to 300. Cream the butter and sugar until fluffy. Slowly add the flour and mix well. Press into middle and sides of ungreased 11in. tart pan with removable bottom. Bake until lightly browned (25-30 min.). Cool on a wire rack. Combine sugar and cornstarch in a small saucepan. Stir in orange and pineapple juice until fully combined with sugar and cornstarch. Bring to a boil on medium heat. While constantly stirring, cook for two minutes or until thickened. Allow glaze to cool, then brush over fruit. Refrigerate for one hour before serving. Enjoy! !